1969-1975 rear door to body weatherstrip seal kitTravelall, Travelette model engine(s). 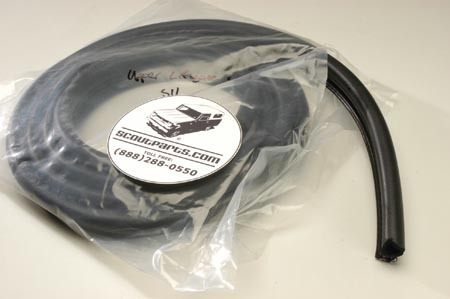 New door to body seals for the 1969-1975 Travelall and 4 door Pickup (Travelette) are now available. Brand new pliable rubber seals eliminate air and water leaks which are common on older vehicles. This is a two piece item. Per Door.